Nobody would argue that Bill Charlap is one of the most preeminent jazz pianists of his generation. His encyclopedic knowledge of the American Songbook is second to none, and his beautiful touch, amazing skills and imagination make it a pleasure to listen to him at all times. As some of you already know, Charlap has recorded a number of great albums for Venus Records of Japan with his great New York Trio (with Jay Leonhart and Bill Stewart). For this, latest release, he decided to take a slightly different direction with a drum-less trio with guitarist Peter Bernstein and bassist Peter Washington. Having a guitarist instead of a drummer softenes the texture of the trio sound and make it more intimate. It also makes the sound of the bass come forward so one can appreciate, in this case, the virtuosity of Washington. Charlap's tone is pristine and his solos are sigh-inducingly beautiful. The group's style may seem "old fashioned" on surface, but their interpretations of standards are modern, sophisticated and urban. 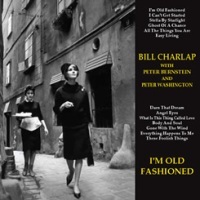 This CD is a must-have item for fans of Bill Charlap! Enthusiastically recommended! Produced by Tetsuo Hara & Todd Barkan. Recorded at The Avatar Studio in New York on December 17 & 18, 2009. Engineered by Katherine Miller. Mixed and Mastered by Tetsuo Hara / Venus Hyper Magnum Sound Direct Mix. Swing Journal Gold Disc.